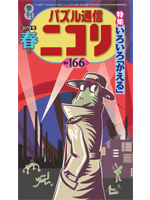 Nikoli publishes numerous magazines and pencil puzzle books. 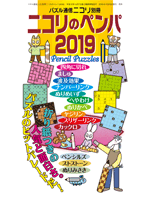 Jun 10, 2019:"Puzzle Communication Nikoli Vol.167," "Cho-Gekikara (Really, really hard) Sudoku 5" and "Nankan (Hard) Sudoku 5"
This is a universal puzzle book that contains nearly 100 puzzles! Our explanations are provided in English with newcomers in mind to help facilitate a smooth introduction to Nikoli-style puzzles. 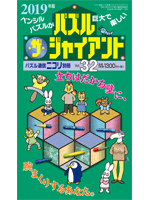 The most advanced pencil puzzle magazine in Japan. The first issue was published in August, 1980. It is a quarterly magazine and Vol. 166 was issued in March, 2019. 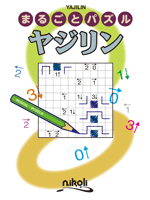 Each issue contains over 30 kinds of puzzles, including some Japanese word puzzles. 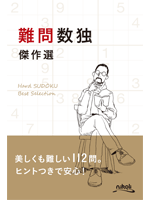 The world-wide famous "Sudoku" puzzle was named by Nikoli company president Maki Kaji. The first volumes in this series came out in Apr, 2017. 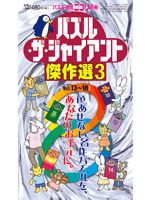 With the "Kind & Friendly" series, you can enjoy Sudoku, Kakuro, and Slitherlink. The titles in this series show the kind of puzzle in the volume, and a volume has about 100 puzzles ranging from easy to hard. The first volumes in this series came out in Oct, 2011. "Fresh" is a new series independent of the "Pencil Puzzle Book" series. 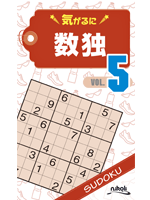 With the "Fresh" series, you can play (or do and enjoy) the four popular puzzles, Sudoku, Kakuro, Slitherlink, and Shikaku. The titles in this series show the kind of puzzle in the volume, and each volume has about 100 puzzles ranging from easy to hard. 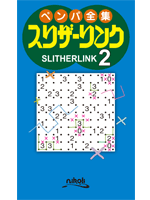 The first volume in this series, "Kakuro 1" and "Slitherlink 1"came out in Jan, 2017. The series is in a handy pocket sized format, 105 mm wide and 178 mm high (4 1/8 x 7 in). 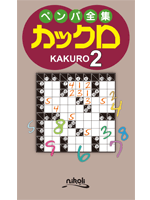 The first volume in this series, "Kakuro 1," came out in Sep, 1986. The titles in this series show the kind of puzzle in the volume, and a volume has about 100 puzzles ranging from easy to hard. This series continues to grow and with reprints the total number of volumes sold exceeds 2 million copies. The series is in a handy pocket sized format, 105 mm wide and 178 mm high (4 1/8 x 7 in). The first volume in this series, "Marugoto Puzzle Fillomino" and "Marugoto Puzzle Ripple Effect(Re-issued)" came out in Feb, 2017. The first issue of this annual magazine came out in 1992, and Vol. 30 was issued in January, 2019. 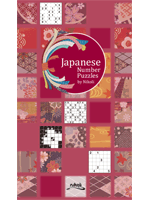 It contains over 25 kinds of puzzles, including a few word puzzles in Japanese. All the puzzles are large sized and it will easily take a year to solve them all. The first volume was in 2000, and Vol. 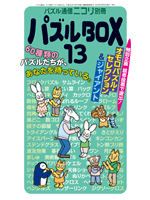 13 was issued in May, 2018. 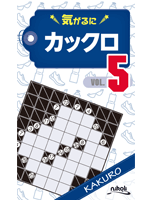 It contains 60 kinds or more of puzzles, including some word puzzles in Japanese. There are a great variety of magazines published by NIKOLI Co., Ltd. Please visit "Purchase Nikoli Books" page and get them!